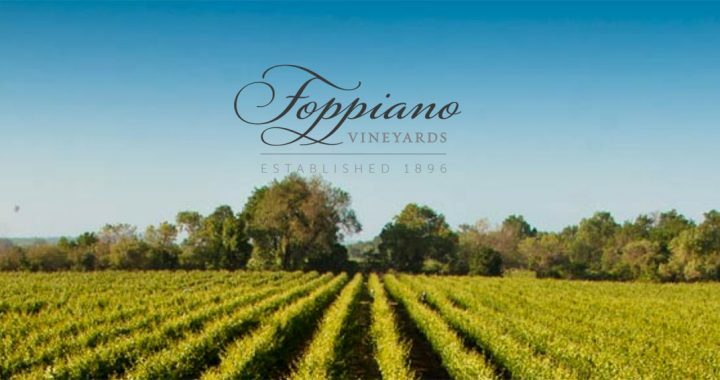 Paul Foppiano, President and Rod MacNeil, General Manager, of Foppiano Vineyards are our guests today on California Wine Country. Paul Foppiano describes the winery as a small one and so he does a little bit of everything there. The Foppiano family has been making wine in the area since 1896 and Paul is the 5th generation that makes wine. Today they make high quality Sauvignon Blanc, Chardonnay Pinot Noir and Petite Syrah. Paul’s grandfather reopened with winery right after the repeal of Prohibition with the help of his two sisters and his mother. It is a 1932 vintage. Rod describes his job as enabler, to support the winemaker with equipment and whatever else he needs. 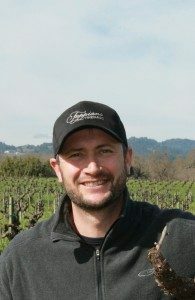 Nova Perrill, Foppiano Vineyards winemaker. Dan says that in the last few years their wines have been getting better and better and the credit goes to their new winemaker Nova Perrill. Paul tells about Nova’s career. He studied at Cal Poly then went to work at St. Eden in the Santa Cruz Mountains as an assistant, then he went to Dry Creek Winery in Dry Creek Valley. They hired him from there. Paul says that it is great to watch him develop as a winemaker. Dan Berger says his wines have shot to the top in the last four years. They are ageworthy and have loads of character. His predecessor was Bill Regan and Nova was his assistant when he came to Foppiano Vineyards. They are drinking a Sauvignon Blanc that is very refreshing and that Dan says is extraordinary. It has spice characteristics, fennel, kiwi, lime, that Dan say all together gives a complexity that many Sauvignon Blancs don’t have. They also taste a Petit Syrah and Steve asks why it isn’t more famous. Barry says it has a reputation for being gnarly, but that the more wineries like Foppiano work on it, the better the results. Later they will taste a 1981 Foppiano Petit Syrah. They describe how carefully they cultivate the vines and how well they know each row. There are rows and vines that are given extra sorting and French oak. Nova’s winemaking training really fit what they were doing. Dan notes that with only 300 cases produced, it’s no wonder this Petit Syrah is only available at the winery tasting room. Barry tells about some specials at Bottle Barn this week. Then they taste a newly released 2015 Petit Syrah. It is named after Paul’s daughter, Gianna. This is the very first release of the black label. She is 12 years old and is the 6th generation of the Foppiano family. Dan says this is what Petit Syrah is all about. It’s not a wine you need to spend a lot of money on oak barrels. But Nova found that this particular vineyard gives you an intensity of complex fruit flavors. Loganberry, blackberry, etc. “You don’t treat grapes that way unless you know it’s going to be really good.” Dan says it’s tricky to make a decision. It’s a lot of money to spend on barrels, and if the wine doesn’t pan out, it’s bad for business. They are in the Russian River appellation, so being in the northern tip of the Russian River Valley, it stays relatively dry during the late growing season. That’s good for Pinot Noir. They recognized that Petit Syrah would do well here a couple of generations ago. Lastly they taste the 1981 Petit Syrah which is as good as everyone expected.